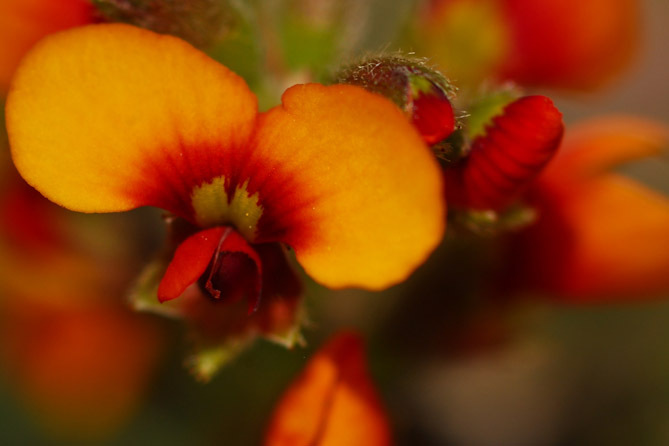 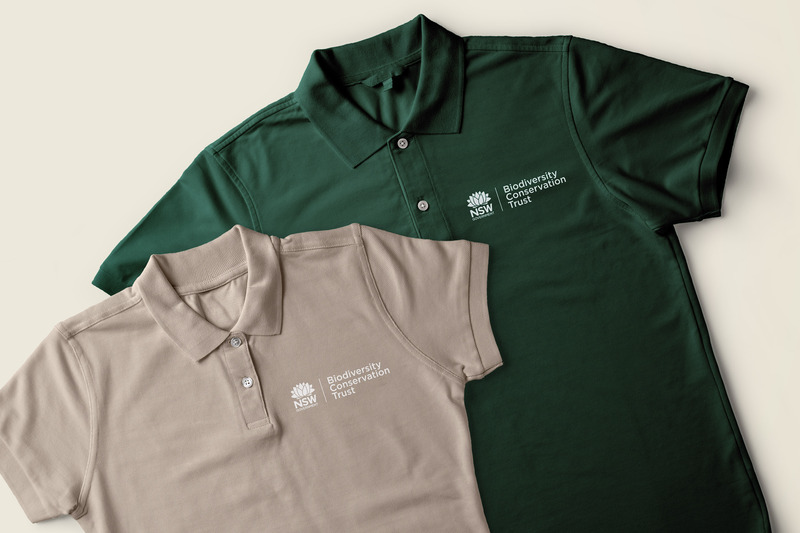 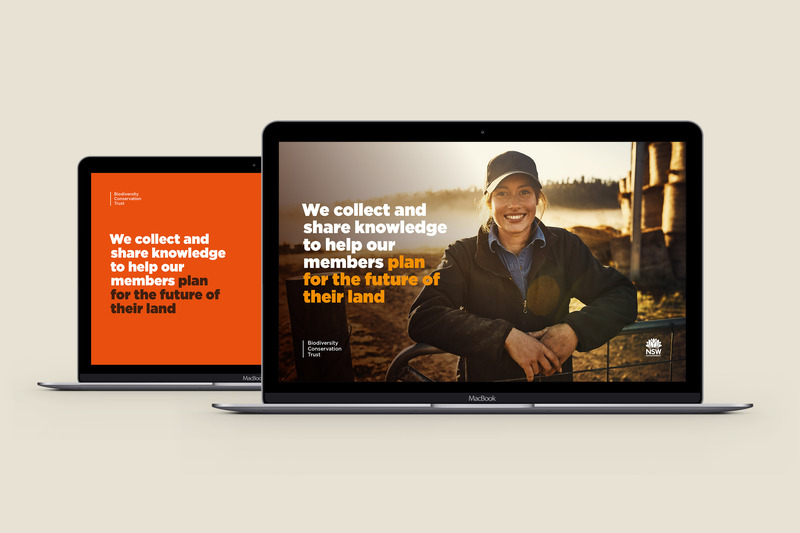 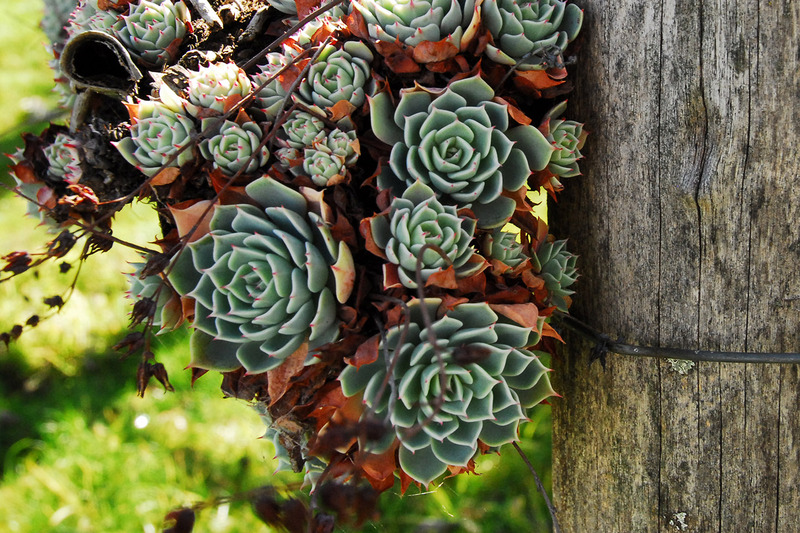 The NSW Biodiversity Conservation Trust (BCT) works in partnership with landholders to establish private land conservation agreements to conserve and manage high-value biodiversity on private land. 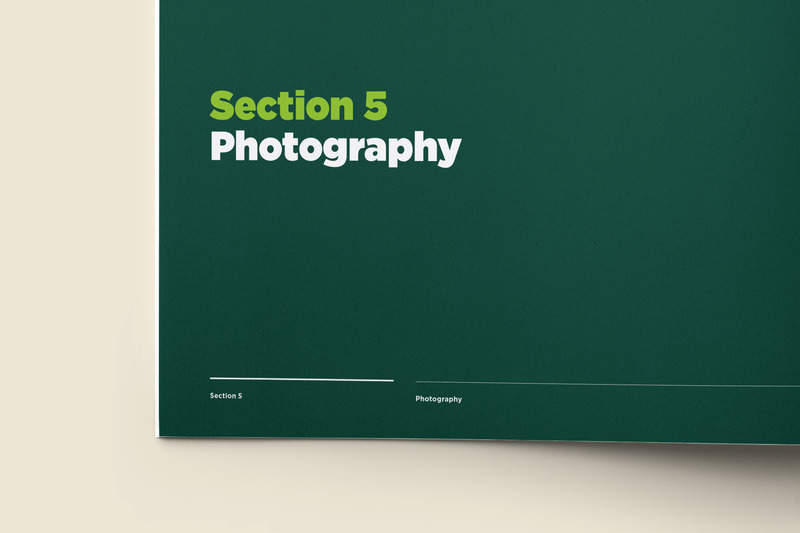 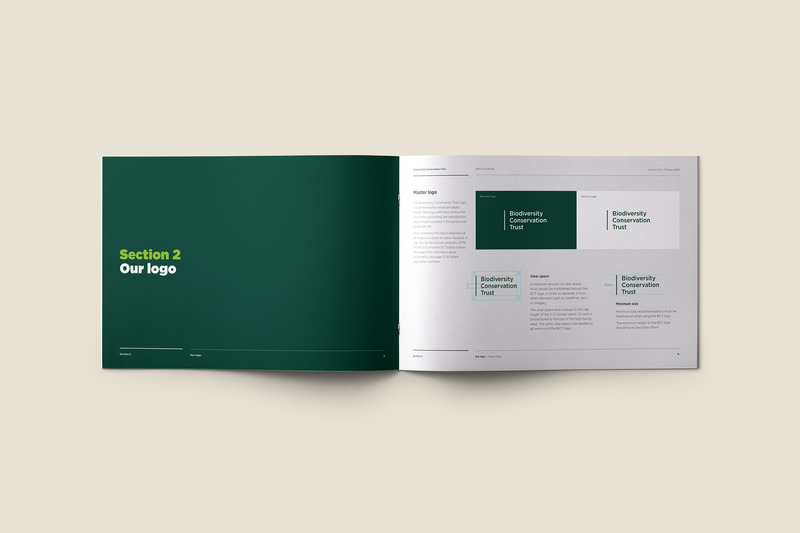 With an approved new direction for the BCT Visual Identity in place, we were engaged to further develop the brand, and create a comprehensive set of guidelines to facilitate it’s application across all BCT collateral. 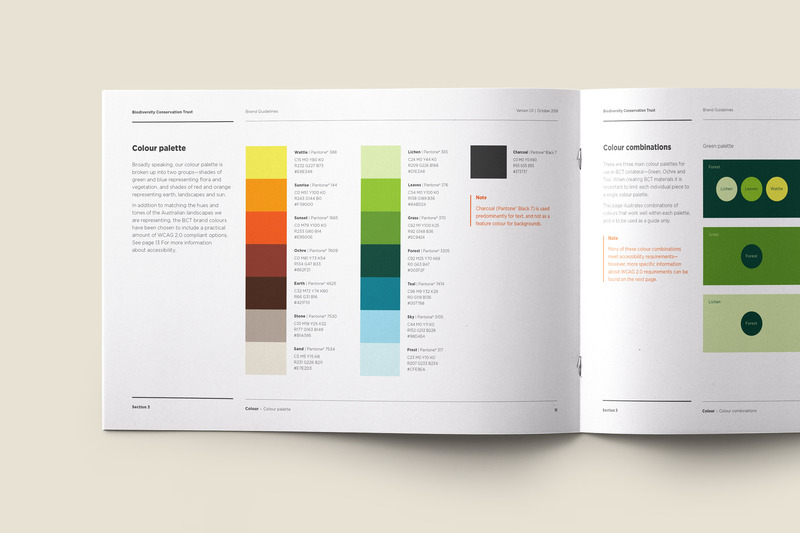 We began by selecting and naming a spectrum of colours including shades of green and blue representing our flora and vegetation, and shades of red and orange representing earth, landscapes and sun. 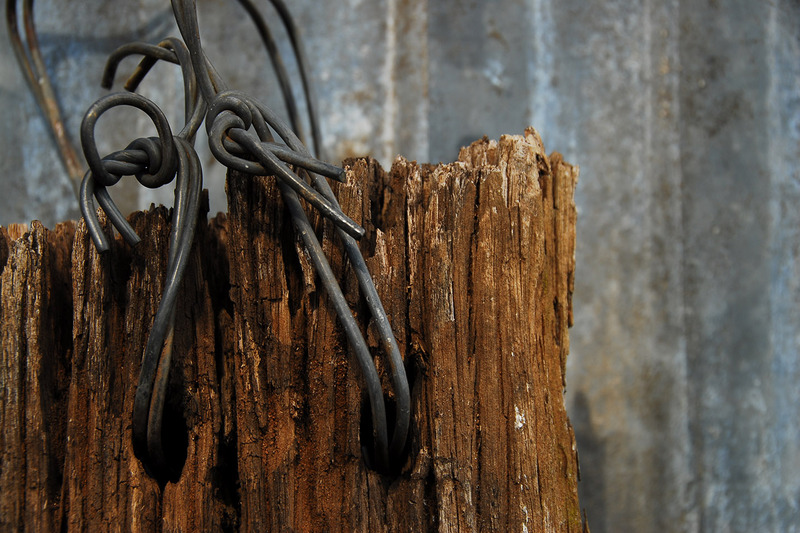 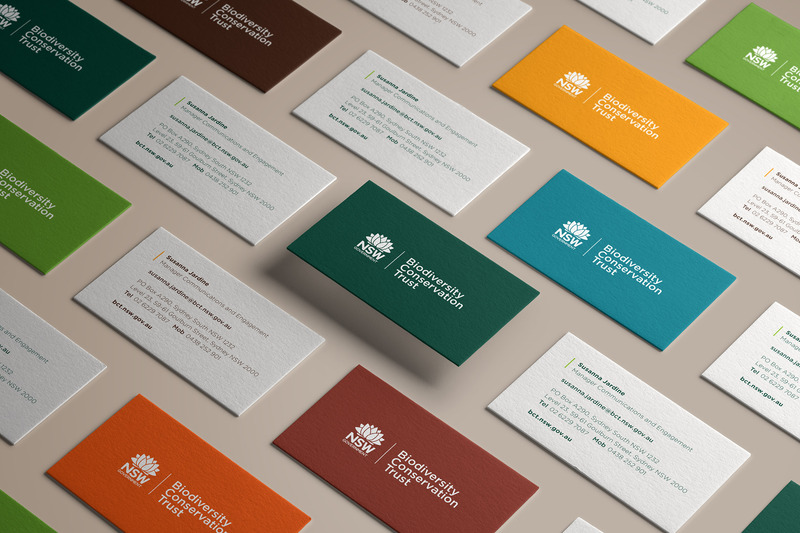 In addition to matching the hues and tones of the Australian landscapes being represented, this also aids in representing the message of diversity. 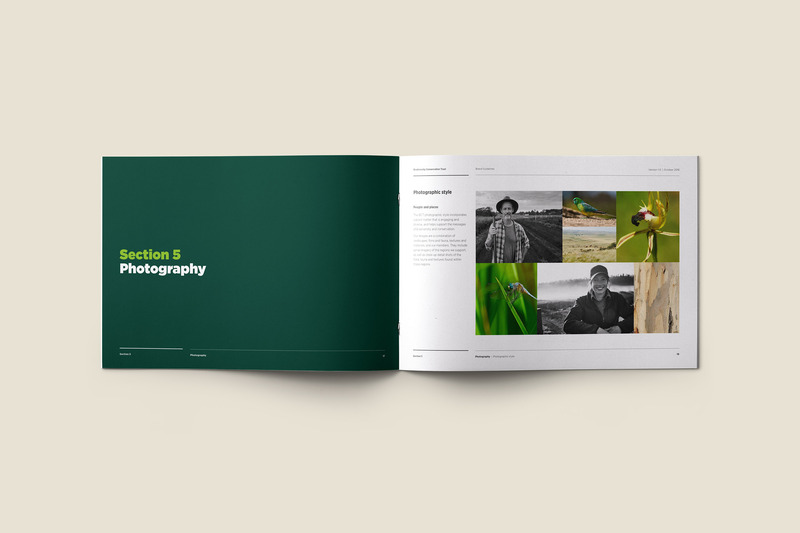 Photography of actual conservation regions in NSW, and supporting member portraits help to generate a local sense of authenticity while bringing the materials to life. 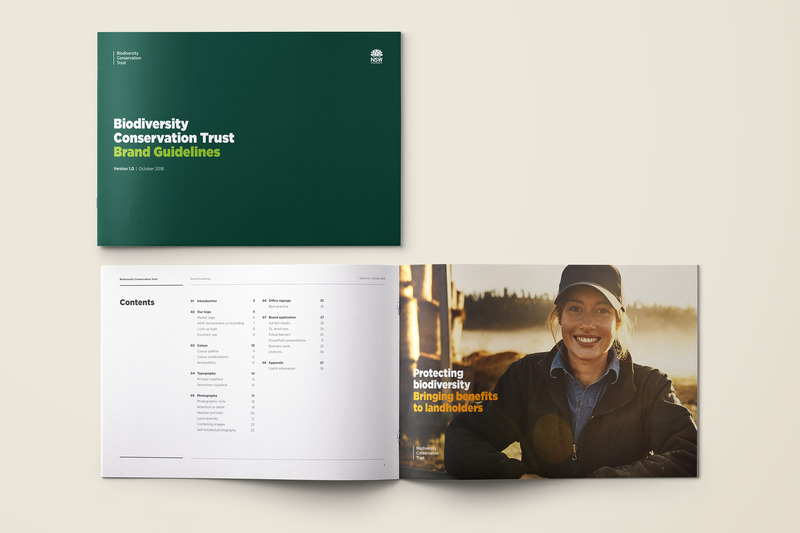 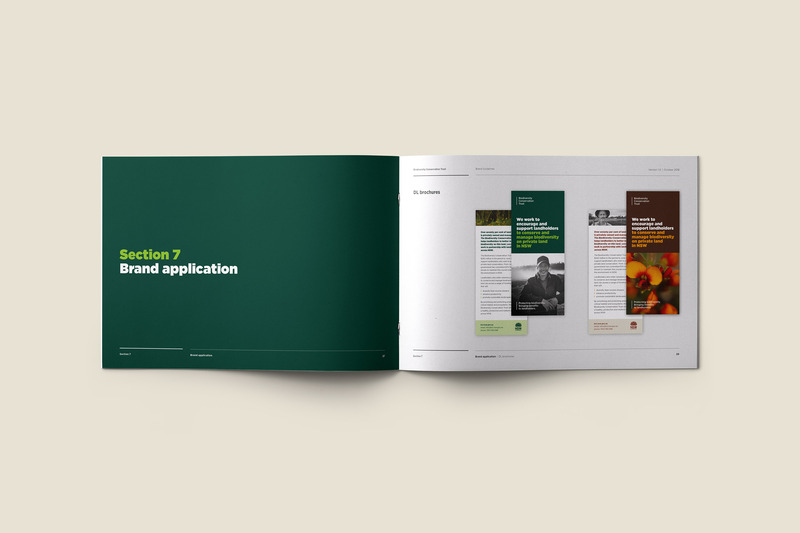 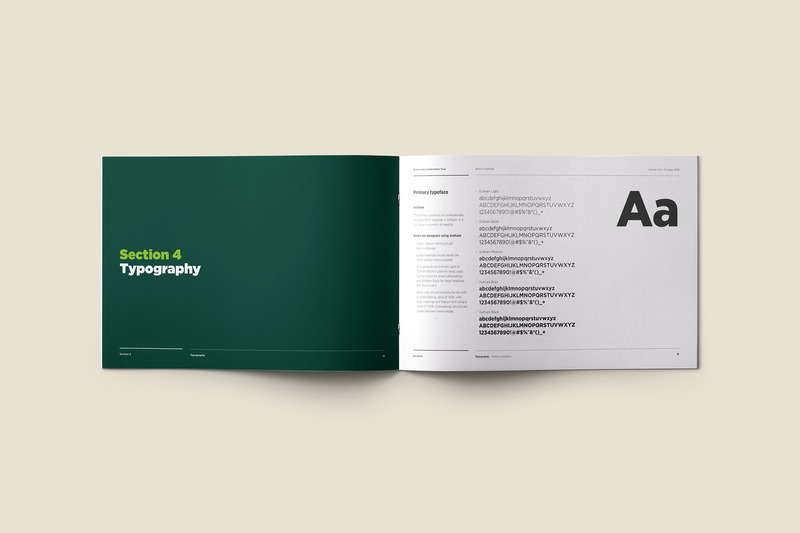 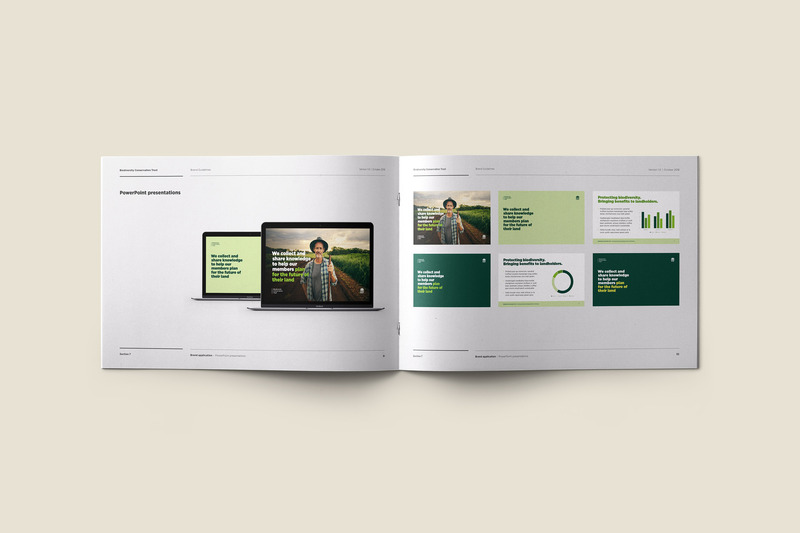 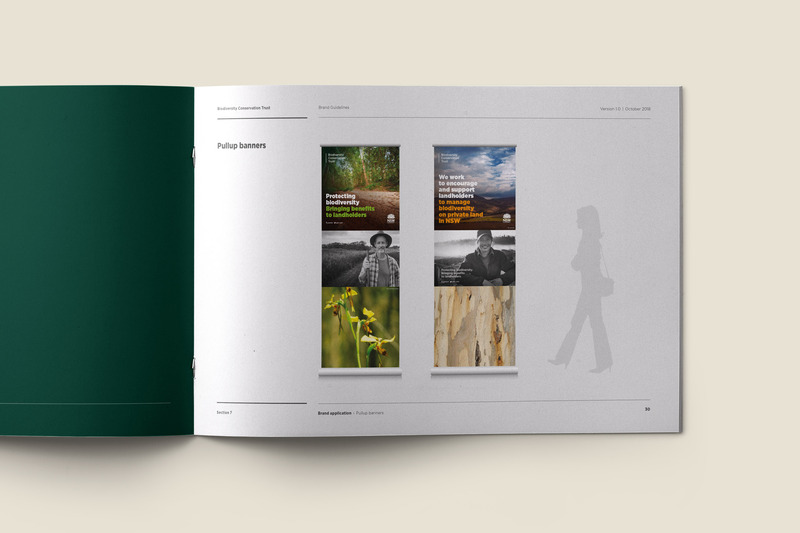 Coupled with a consistent yet flexible grid system, the guidelines imbue the brand with a renewed vitality and sense of purpose, positioning the Trust as a credible and respected partner for future members.